At Strong Hold, we hold a weekly meeting where we identify eight aspects of production with the potential for waste. Transportation, inventory, motion, defects, overproduction, over processing, and waiting all constitute the standard seven sins of waste. We identified one more: unused employee ideas. We’ve also dedicated this time to using employee ideas in order to eliminate waste from our workspace. 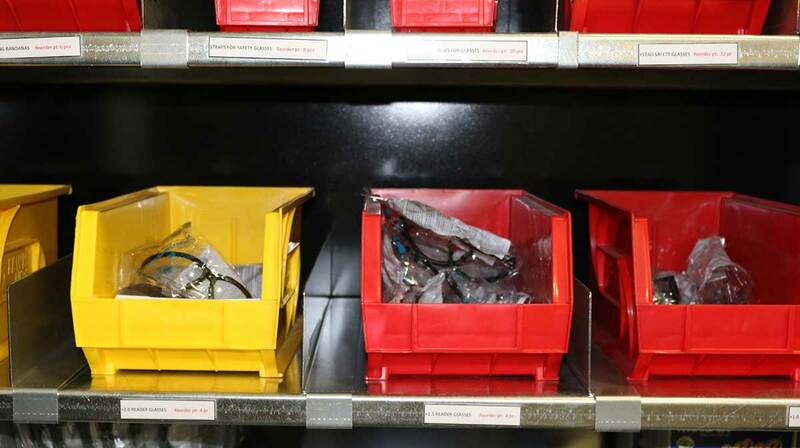 Previously, our PPE, or personal protective equipment, made for an organizational nightmare. Coordinating the needs of shop floor laborers with our Purchasing team was a difficult task due to the nature of our process. Luckily, we got a few smart minds involved (lots of our employees have bright ideas!) and used the power of Strong Hold Plus to eliminate our problems. We eliminated our first waste area, unused employee ideas, right from the get go by consulting with our employees about their problems and their proposed solutions. 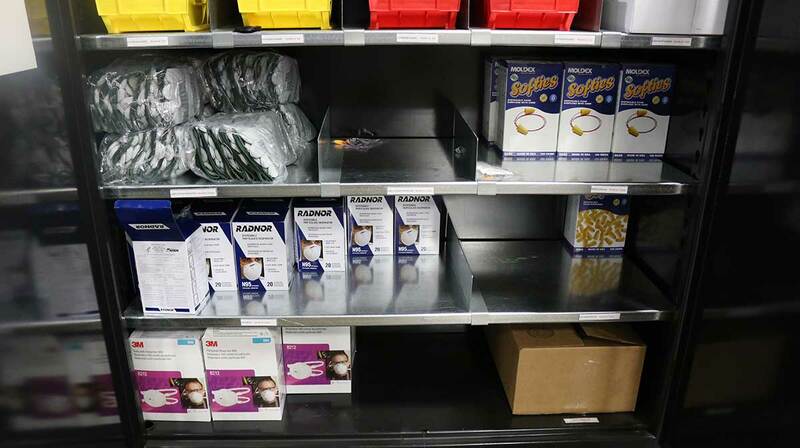 An issue with our PPE process was that our purchasing team only knew what to reorder when it was already out of stock. Since there were no indicators of when something was low, purchasing became guesswork. 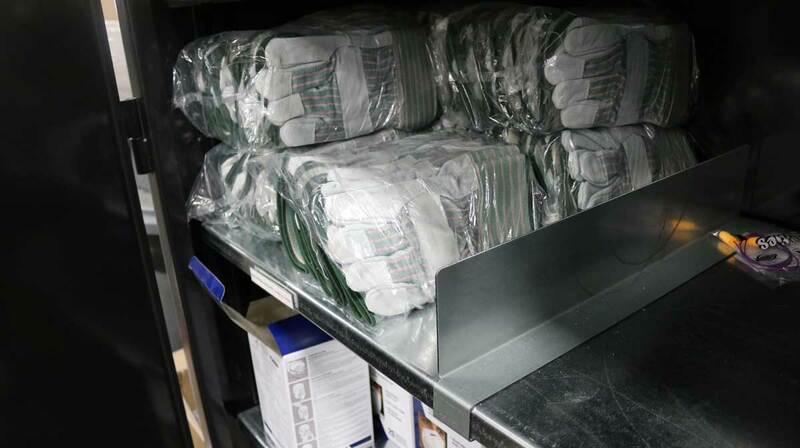 This constituted waste in inventory, as unused PPE would sit stockpiled, and created waste in the “waiting” category because certain jobs could not be completed until proper safety equipment was available. Our solution was to use the tools available as standard features of our Plus line to combat this waste! 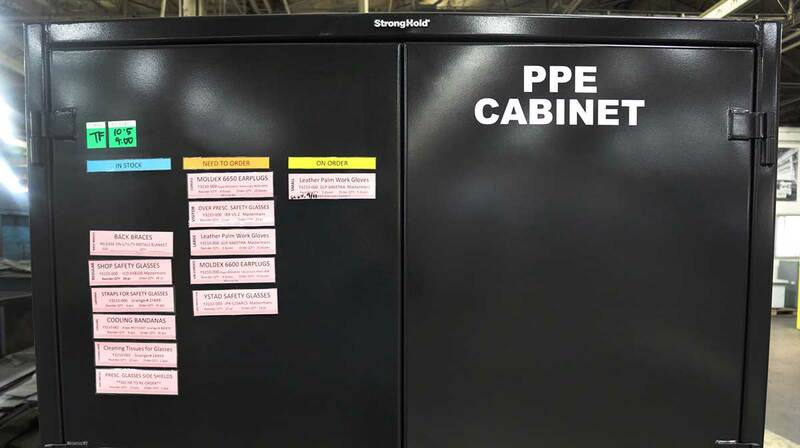 We built a cabinet with exterior magnetic labeling, and interior shelf labels and dividers, all of which are standard features that come with a new Strong Hold Plus cabinet. 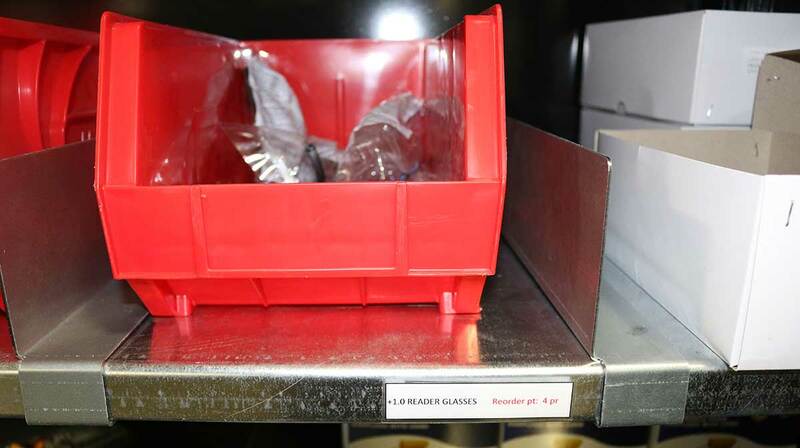 The shelf dividers separate PPE stock, and a shelf label identifies what they are, and their reorder point. 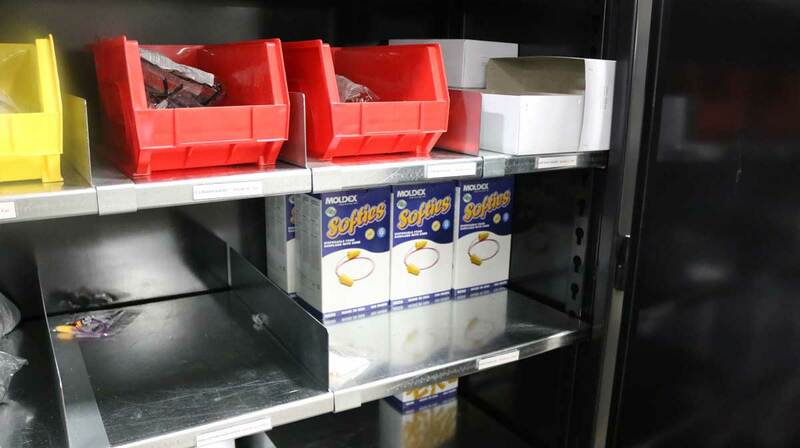 This way, employees can easily identify when stock is low and needs reordering. 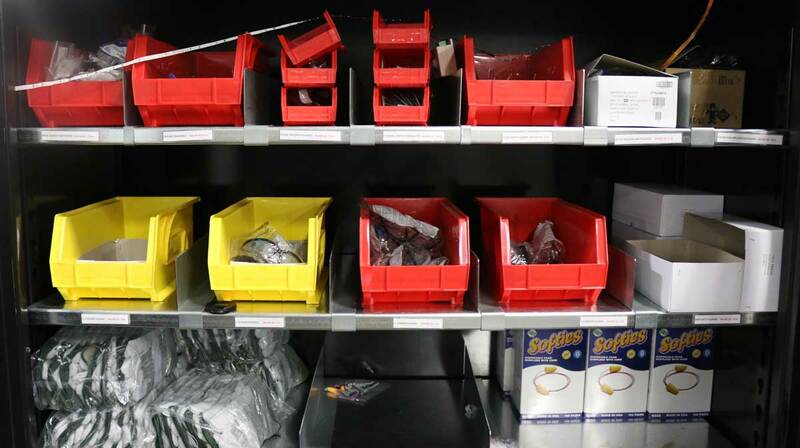 When this happens, they use the exterior labels and magnets to identify stock in need of reordering. 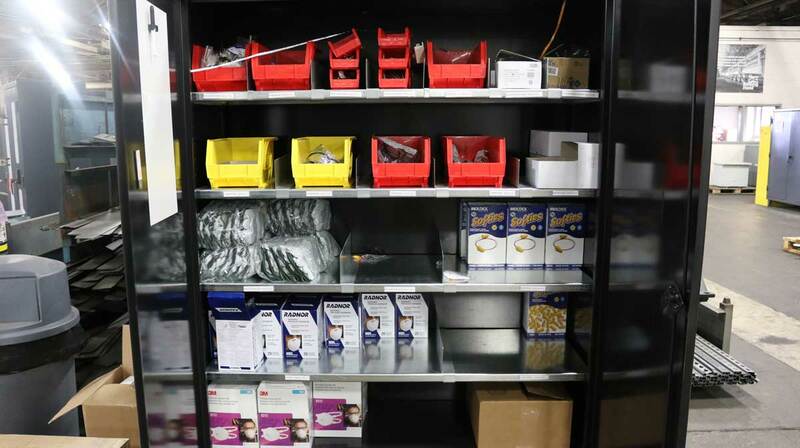 Purchasing comes to check the cabinet, sees what needs reordering, and then moves the magnetic label to the “On Order” category so shop employees know the new equipment is on its way. 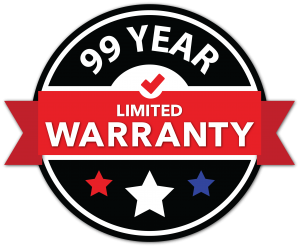 This eliminates the guesswork on the purchasing side, and ensures no inventory is wasted, and drastically reduces the time wasted waiting for new equipment. To top it off, the cabinet is secured with a Bluetooth Master Lock, making sure no stock leaves the cabinet without approval. Strong Hold Plus made this possible, saved us money, and even more importantly, valuable time. 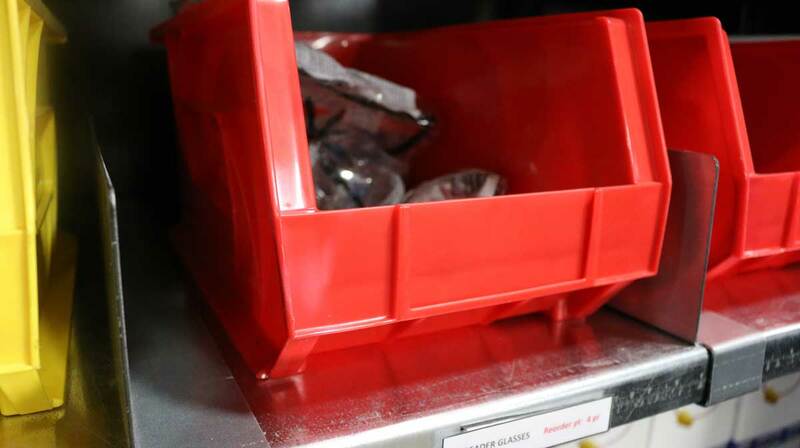 This entry was posted in Case Study and tagged Eight Sins of Waste, Personal Protective Equipment, PPE, video. Bookmark the permalink. 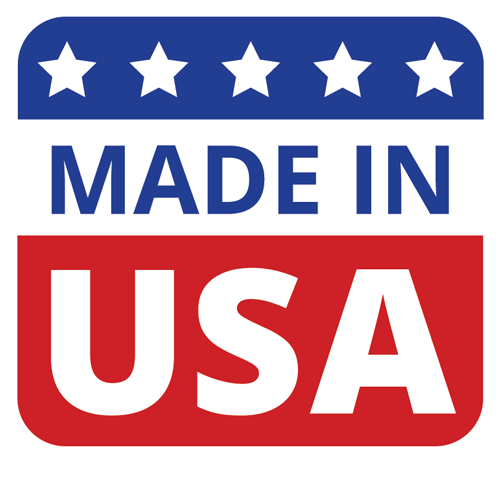 © 2019 Strong Hold® Plus™ | All Rights Reserved.